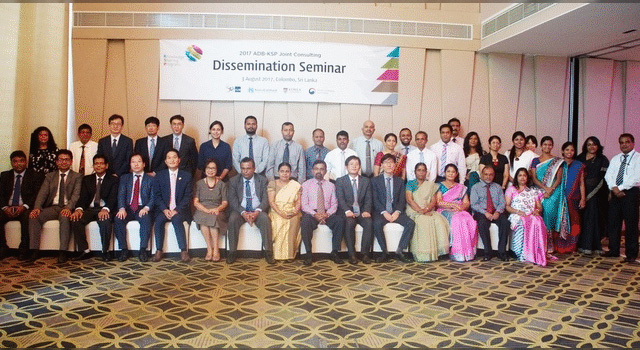 The Asian Development Bank's (ADB) South Asia Regional Cooperation and Operations Coordination Division joined a dissemination event on 3 August 2017 in Colombo, Sri Lanka, for the presentation of background papers prepared under the Knowledge Sharing Program (KSP) of the Government of Republic of Korea. 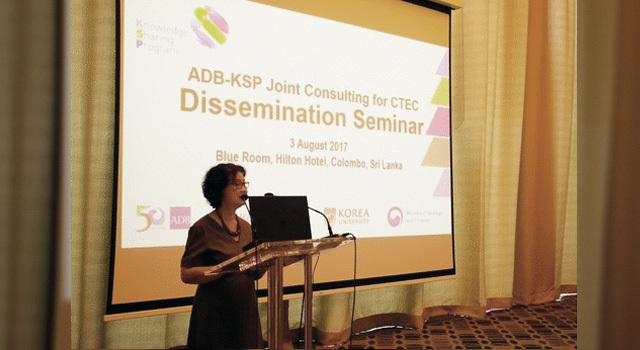 ADB has collaborated with the KSP as knowledge partners for the Colombo-Trincomalee Economic Corridor (CTEC). 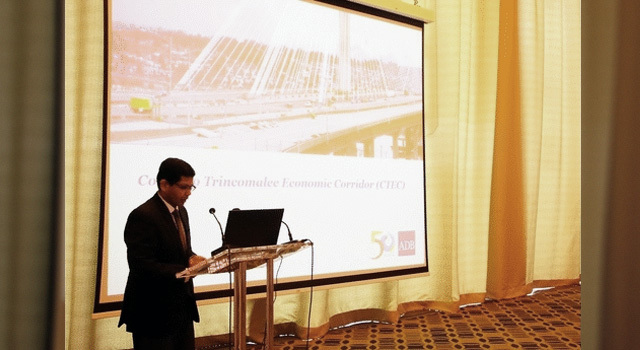 The topics presented at the seminar, namely, urbanization, trade facilitation, foreign direct investment, and small and medium enterprises, were selected based on the scope of the CTEC study. The results and recommendations presented will feed into the final report of the comprehensive development plan (CDP). 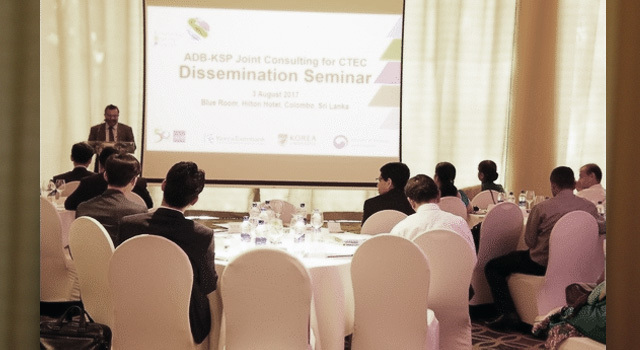 The ADB CTEC study team also provided an update on the work carried out since the interim report presentation in April 2017. 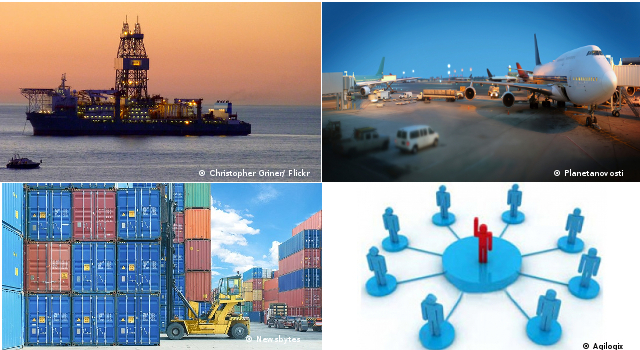 Final report on the CDP for CTEC is expected to be submitted in September 2017. 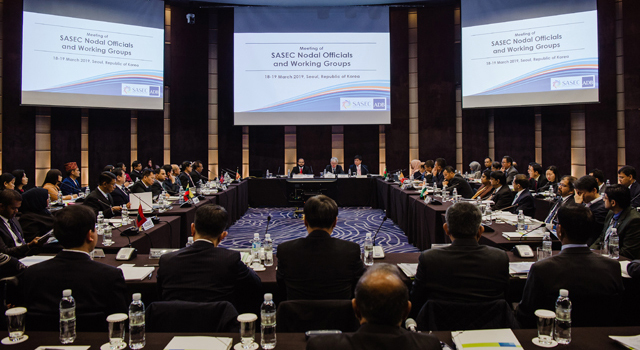 Participants from various government agencies relevant to the KSP research—including Ms. Sandya Wijebandara, State Secretary of the Ministry of Industry and Commerce—attended the seminar. Mr. Sanjaya Mudalige, Director General, National Planning Department, Ministry of National Policies and Economic Affairs, Sri Lanka, gave the opening remarks. 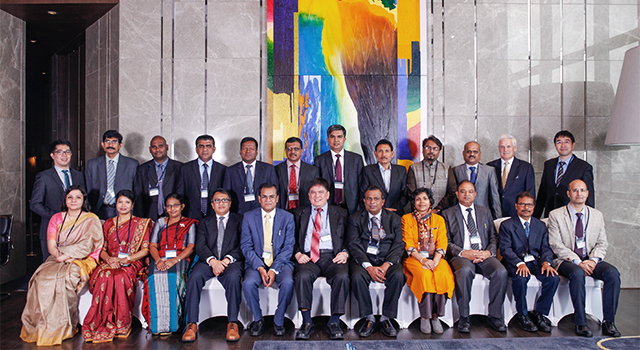 Sri Lanka Resident Mission Country Director Ms. Sri Widowati delivered closing remarks on behalf of the ADB.